How to Paint a Room? While there are a variety of rooms in any house, the way each room is decorated is not particularly different, sometimes it is just the type of paint used that changes. You can also look at our Paint a Door, Painting Windows, and Paint a Staircase DIY guides. Or study these general painting tips. 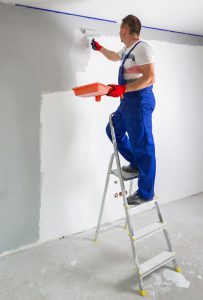 The following is a bullet point guide on how to paint both brand new and previously painted rooms. If painting windows, remove all catches and paint early in the day, refitting catches at the end of each day – however if possible close but not tight to save paint binding on window and frame.